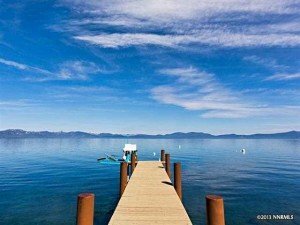 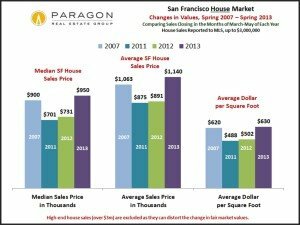 Statistics are generalities that may be affected by other factors besides changes in value and only a specific comparative market analysis can estimate value for any particular property. 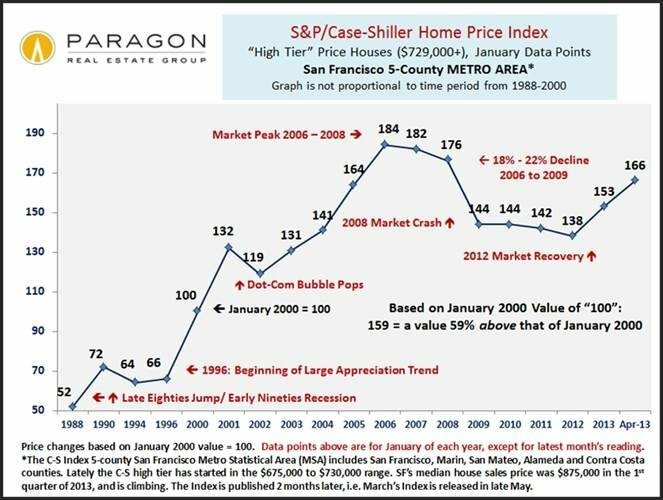 When the market fell from its peak in 2006-early 2008 (different areas and different market segments peaked at different times), the scale of the decline varied widely, mostly by price point. 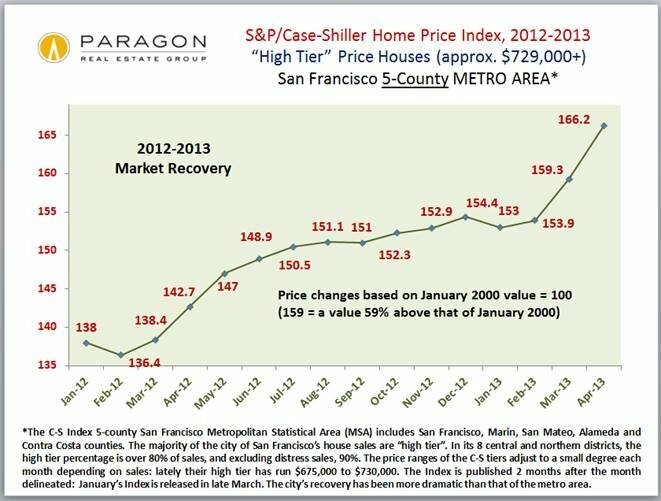 With the recovery that began in 2012 and accelerated in 2013, the magnitude of the price recovery, as compared to previous peak values, has also varied by price point and area. 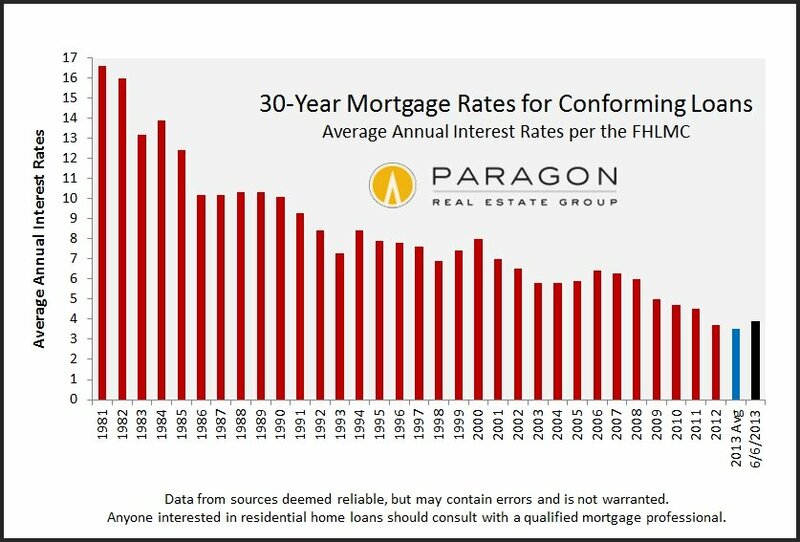 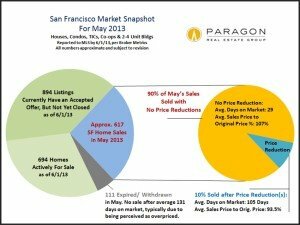 The lowest price range (terribly affected by foreclosures and distressed sales) fell most dramatically – approximate 60% decline – and though recovering dramatically on a percentage basis, is still way below its peak. 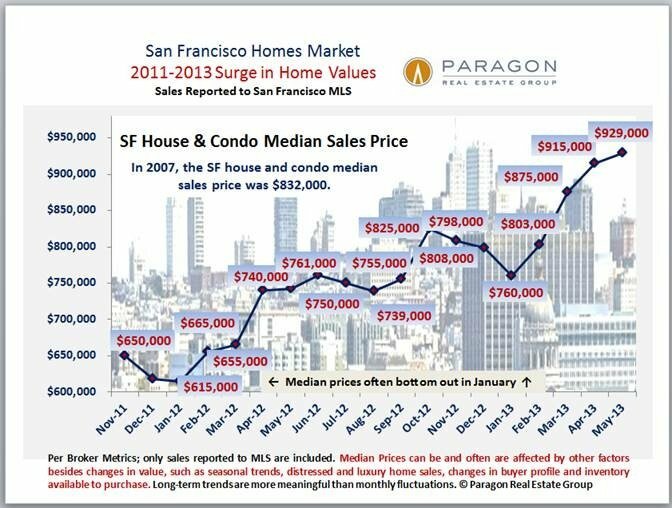 It simply has much more loss to make up. 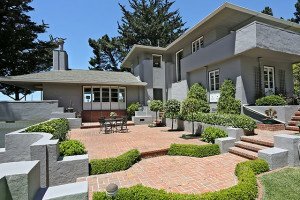 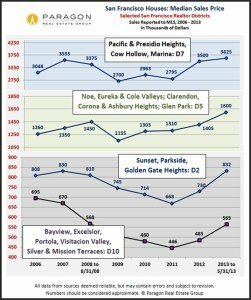 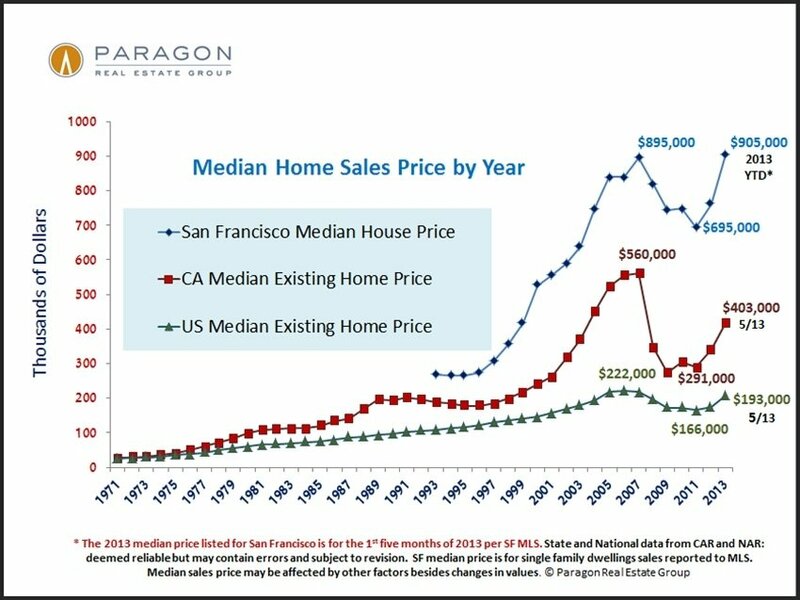 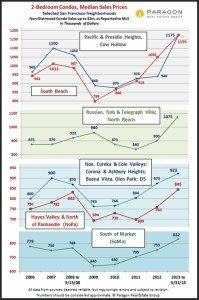 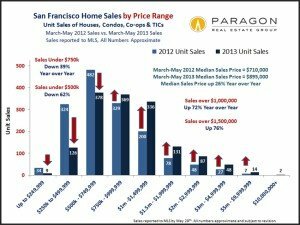 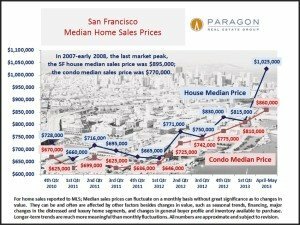 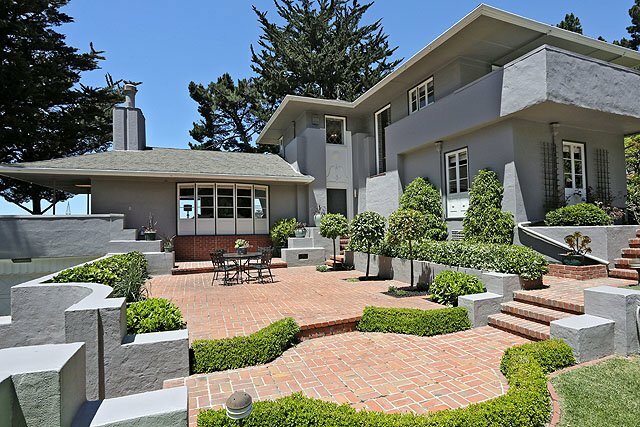 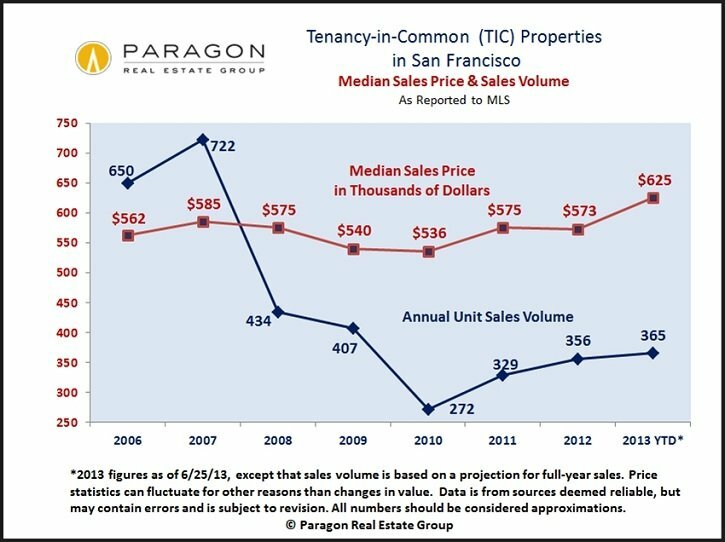 And then looking just atthe city of San Francisco itself, which has, generally speaking, among the highest home prices in the 5-county metro area: many of its neighborhoods are now blowing past previous peak values. 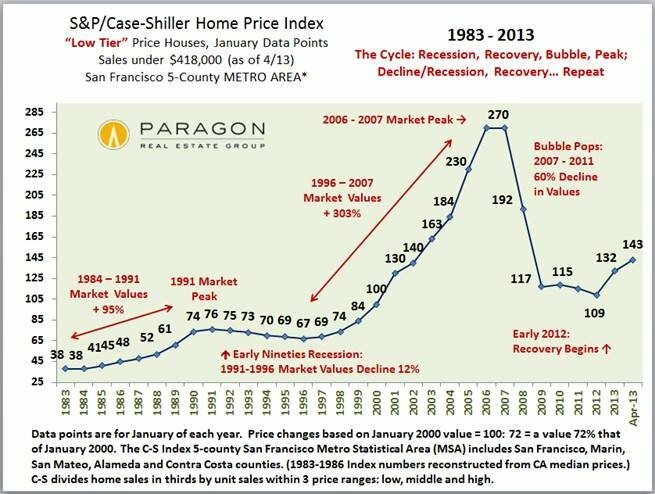 Note that this chart has more recent price appreciation data than available in the Case-Shiller Indices and that the rate of appreciation accelerated in the March-May timeframe. 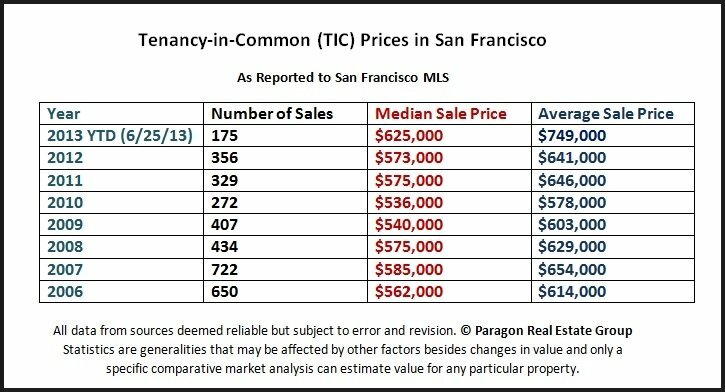 This is also for both houses and condos combined, when the C-S charts used above are for house sales only.